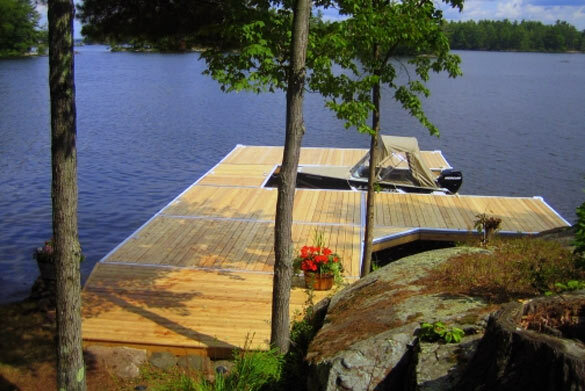 Floating Docks are ideal for deep or fluctuating water conditions. 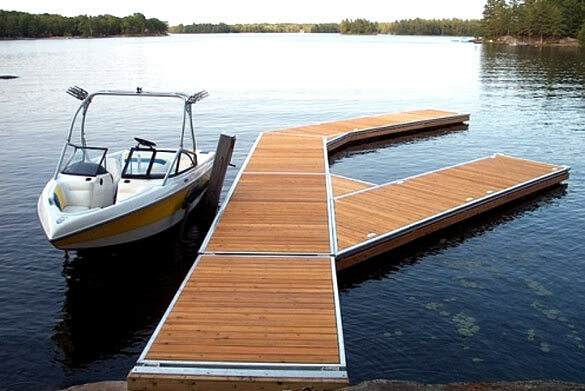 A big advantage of a floating dock system is it stays at a constant height above the water which is ideal if you keep a boat moored to it. 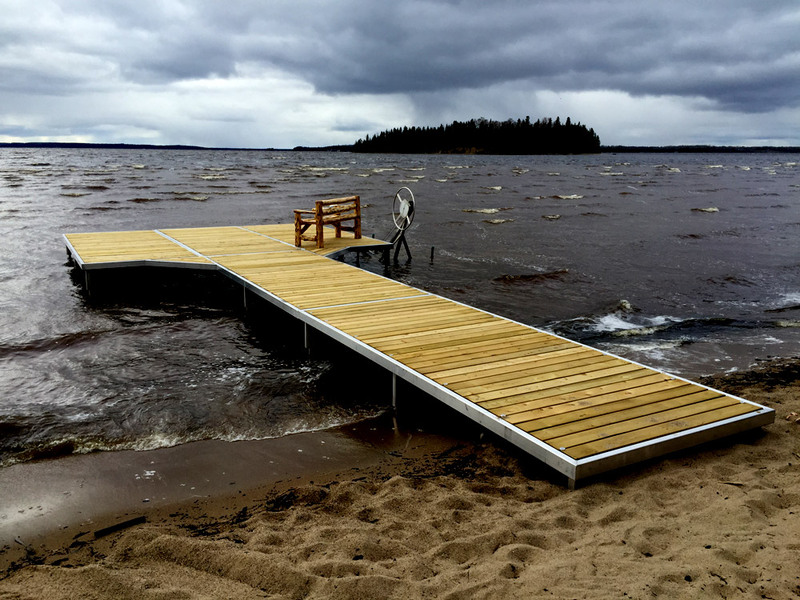 When choosing a floating dock it is important to have an idea what you plan to use it for. Just looking for a small dock to get out to your boat and do most of your relaxing on shore? You may be content with a 6′ wide system. 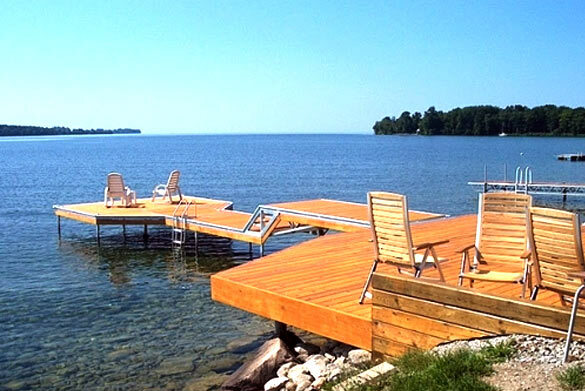 If you are planning to spend some of your relaxing time on your new dock you will want to consider one with more stability such as an 8′ or 10′ wide dock. We take great pride in supplying our clients with top notch docking systems and top of the line customer service - Check out our commercial!! 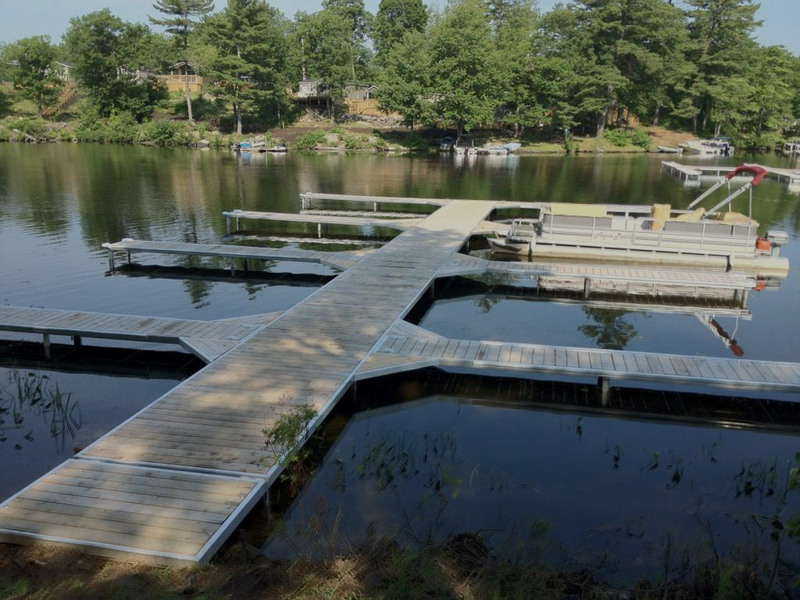 Our commitment to client satisfaction and innovative dock and product design has developed our company into a leader in the dock manufacturing, sales, accessories and dock installation industry. If your property is not near our Muskoka showroom please check out our network of dealers. Each dealer has been selected for their strong local reputations and commitment to providing experienced support years after a dock or marine system has been installed. 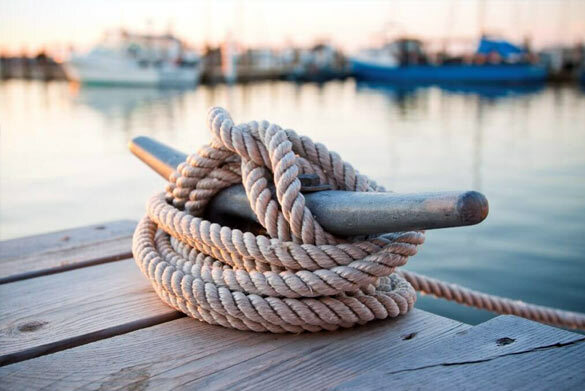 Our experienced on-staff team of dock and Marine system experts have the tools and flexibility to work with each client directly to ensure your new dock system fits your needs and your budget.